Astron Sneaker Hunts: 370. Nike Air Yeezy 2 "Black/Solar Red"
370. 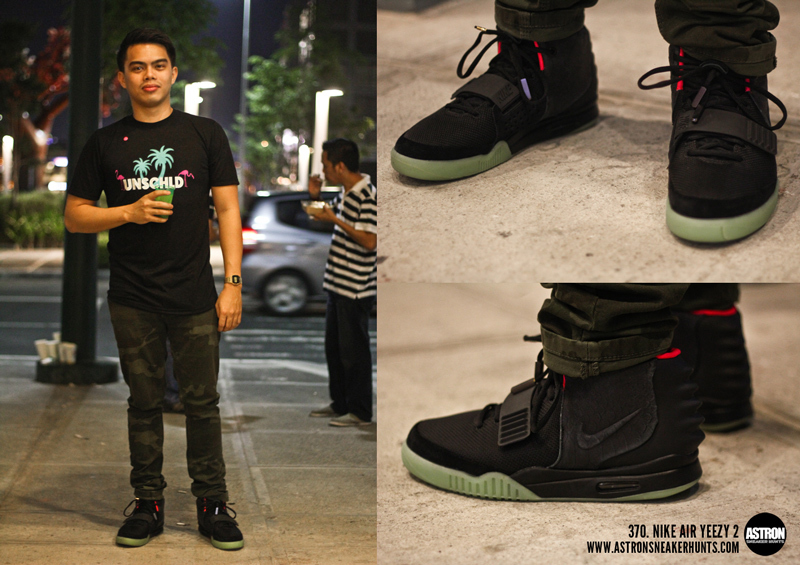 Nike Air Yeezy 2 "Black/Solar Red"
where can I buy these here in the philippines ? The nearest place you can find these is in Singapore, just pray if they still have supplies. these are soooo fake, no scales. Fake wtf? Shame on this guy hahaha. And he thinks he's so cool with the outfit and drinks lol. Fake? do even know the guy???? stupid homo f*ck. Please look at the photo thoroughly. You can clearly see the scales on the photo. These Yeezy's are fakes.Less scales and light blue or purple lace tips? aha. Yeezy II has only black and gold lace tips. hi anonymous hater you're just a squatter level if you can't afford a yeezy go to work and have a life dumbass! You haters should study your sneakerhead 101 again.